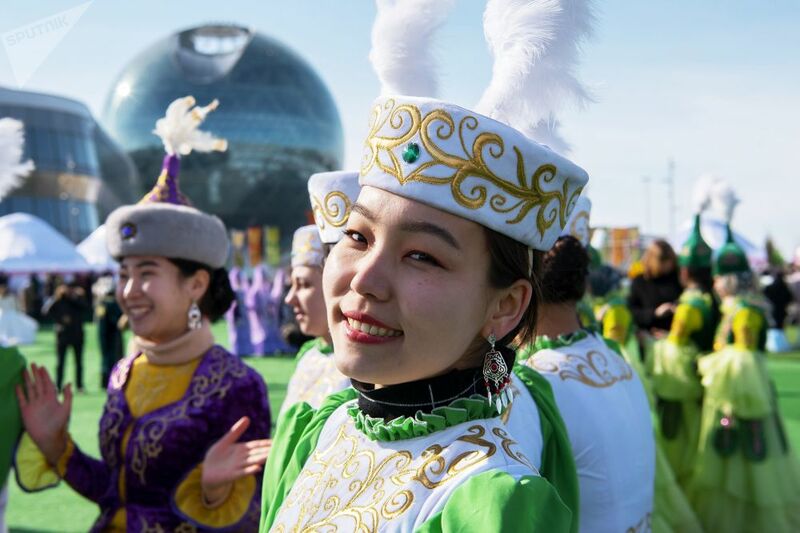 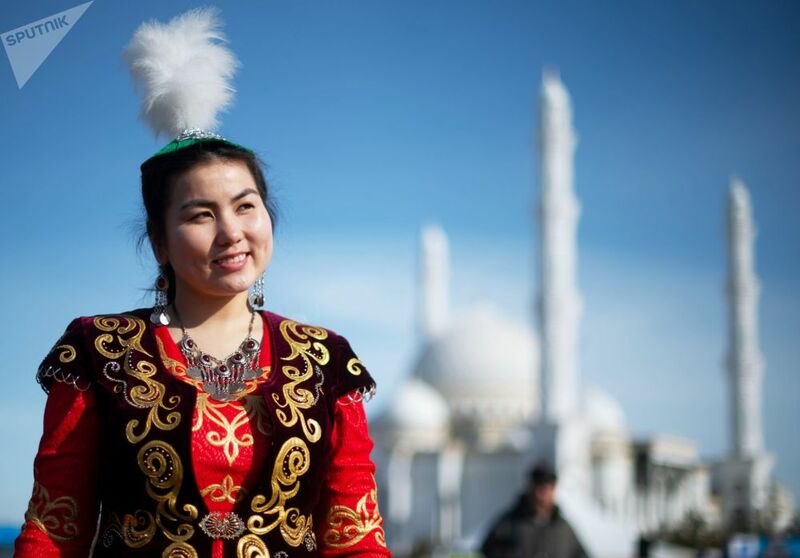 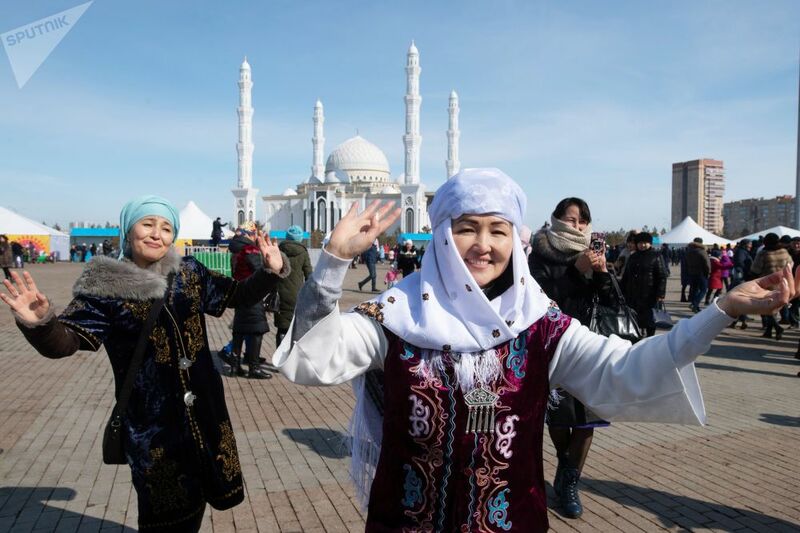 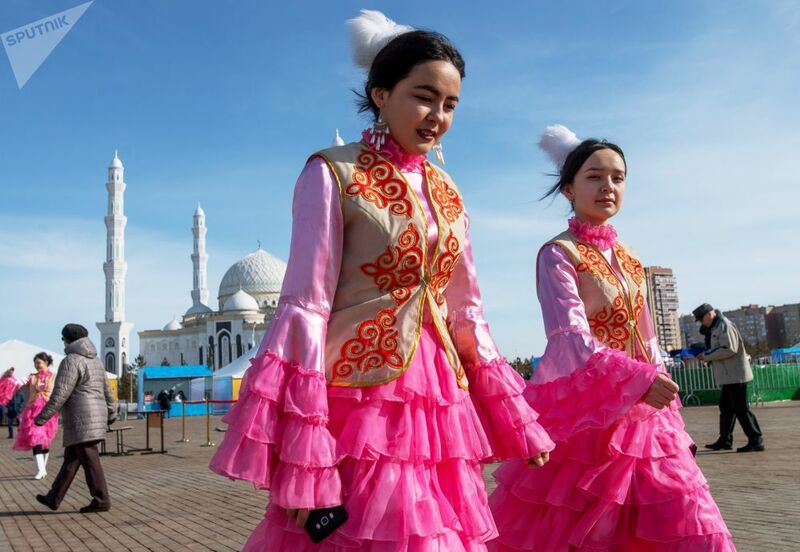 Girls wearing national outfits during celebrations of Nowruz at Astana Expo in Nur-Sultan. 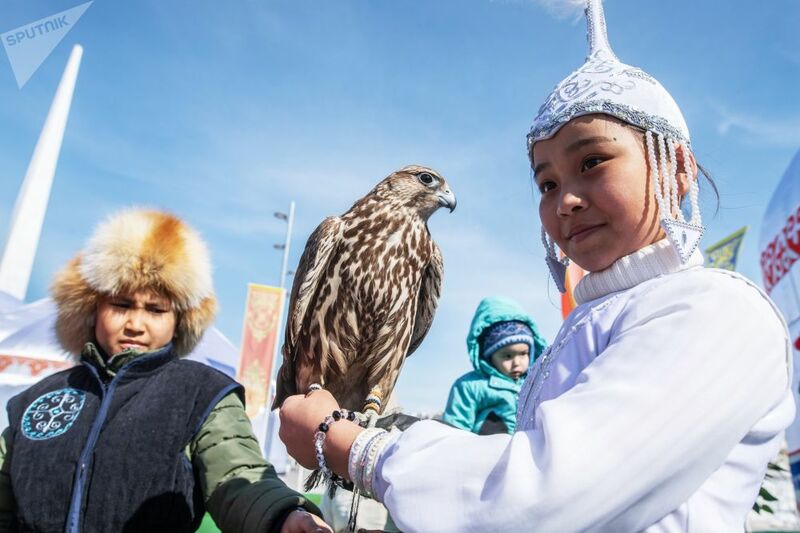 Running from 21-23 March, attendees were able to take a picture with an eagle, eat deliciously cooked traditional rice and meat pilaf, or just mingle and socialise, among other things. 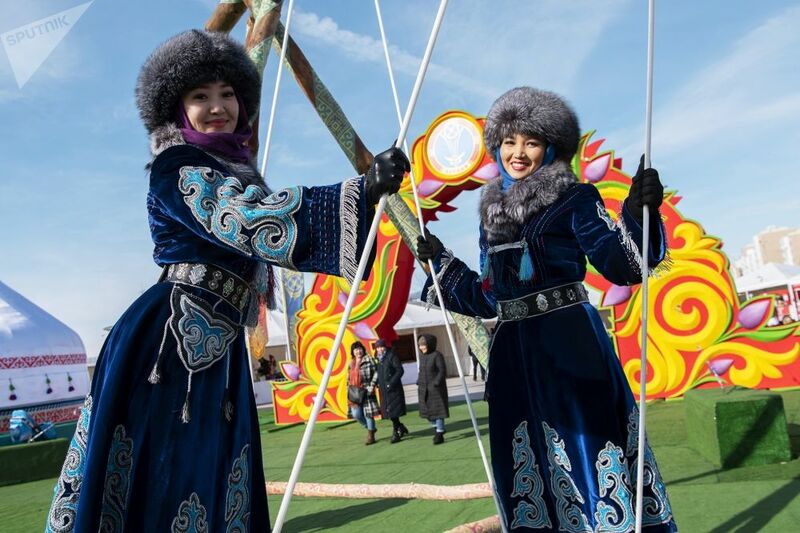 Sputnik has compiled for you a selection of pictures showing the highlights of this year's celebration.